For those of you in Minnesota who witnessed the ferocious storms of the past two weeks, it goes without saying that storms and dogs don't mix. 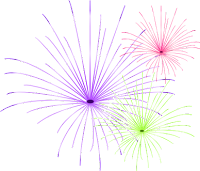 As the long holiday weekend with the accompanying fireworks approaches, the stress on your dogs is likely to continue. 1. To the best of your ability, remove your dog from the source of stress. Personally, I don't take dogs to see fireworks. Years ago, after watching water birds panicking as fireworks exploded overhead, it occurred to me that many dogs have similar reactions. I realized that I didn't want to subject my dogs to the types of stress they're likely to experience at fireworks displays. If your family attends them, perhaps your dogs will be more comfortable at home. If you are at home and your dog is still nervous, place him in an interior room, one with no windows and the most sound proofing possible. Often bathrooms work well. 2. Give your dog something small, like a properly-sized crate, to retreat into. If you don't have a crate, create a makeshift structure by placing a blanket over a coffee table or similar piece of furniture that your dog can fit under comfortably. You may also want to put some of your dog's favorite things inside. Do not,however, force your dog into the confined area. 3. Use calming wraps. There is a plethora of calming products on the market today. I like and carry the Anxiety Wrap and Thundershirt. To see if such approaches might work for your dog, search "Tellington TTouch wrap" for instructions on how to make your own body wrap in seconds from a simple ace bandage. 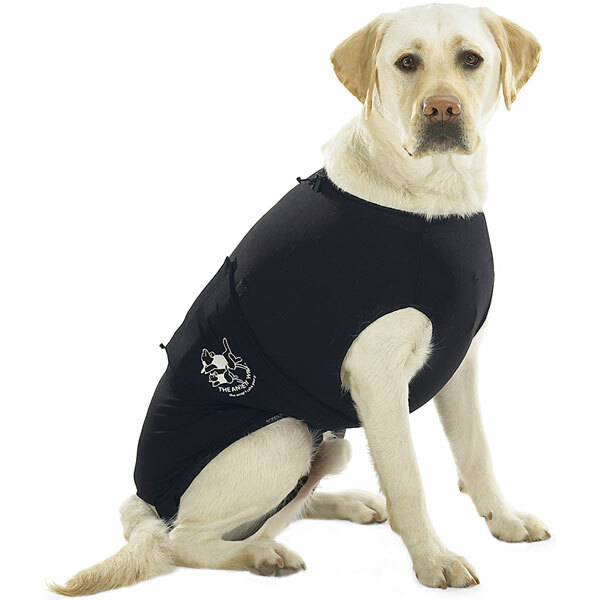 Both Anxiety Wrap and Thundershirt have designed additional products to reduce stress. See, for example, the Quiet Dog Face Wrap and the Calming Cap. 4. Calm your dog through his olfactory sense. Essential oils are a great option, here. I like and carry frankincense and lavender, as well as doTerra's balance and serenity blends and apply them to the pads of my dogs' feet or along their ears. In addition to essential oils, you can use D.A.P.s, or simulated pheromones that mimic lactating mothers. If you wish to use a diffuser, it will take a couple of weeks to reach full strength in your house. For the short term, try using a spray, instead. I've had good luck with Comfort Zone products. 5. Play soothing music for your dog. It may seem unbelievable, but music can calm dogs. 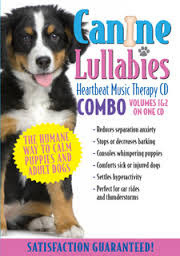 I've begun Canine Lullabies at Giffy dog. If you'd like to sample it for yourself, visit their website for a free song and to see video of dogs calming as they listen to it. 6. Exhibit calming signals. I talk about these a lot in my training, but they can be particularly useful during periods of stress. When a dog is getting stressed, she will often lick her lips, lift her front paw, yawn, lower her head, etc. to demonstrate that she's getting nervous. If you mimic the calming signals back to her, she will probably begin to relax quickly. The most important thing you can do, though? Be calm yourself. Understand that your dog's anxiety is real and being near you calms her down. Let's hope we don't have any more storms, and I wish you a happy, healthy, peaceful 4th.